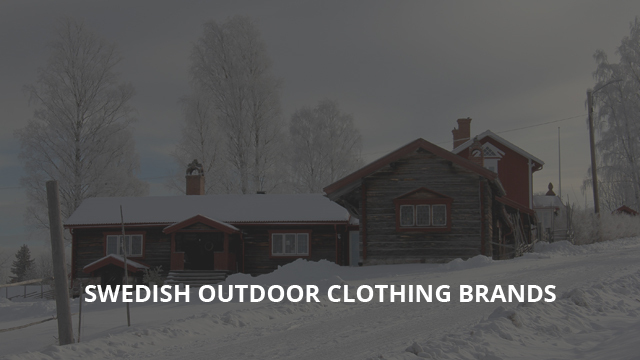 Continuing with another selection of different Scandinavian brands, today we will be looking at Sweden’s top outdoor clothing brands. Last week we went through some great Norwegian brands that you may have not come across before and we looked at their history and some particular products that they specialize in. This follow-up selection will continue along the same lines as its predecessor. We have included 7 brands that you should definitely know more about. Over here on our website we are quite fond of Scandinavian brands because they design some fantastic outdoor clothing and gear. As you can see from our other selections, we focus mainly on jackets but that will not be a limiting factor in today’s selection. We aimed for versatile brands so that each and everyone among you can find something that suits their preference and style. 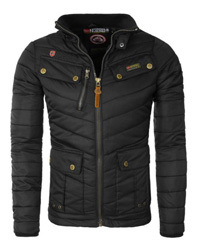 It doesn’t have to be just an outdoor sportive jacket or clothing, but also a statement and fashion piece, too. Of course Fjällräven would be the first one included. 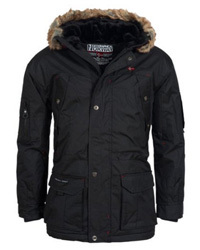 This is a brand that we have featured extensively in a number of our selections and reviews, because they make some of the best jackets that you can find on the market. Like many other brands, they began with a single product that they perfected, which were the rucksacks with an external frame. Their rucksacks and backpacks were then developed for school kids and were called Kånken. This design was intended to prevent back pain and now it is one of their best-selling products, popular especially among girls. Fjällräven then went on to design other outdoor clothing and gear, the main focus being their jackets. This is one of the top-selling Nordic brands and a quick look through their collections would easily explain why. Haglöfs was founded in 1914 and has now become one of the world’s largest outdoor equipment companies. Anything you will need for your next adventure can be easily found in their product range. From different gear that suit numerous activities, such as hiking and mountaineering to sophisticated and high-performance clothes and shoes, you don’t need to look any further. Haglöfs has got you covered, quite literally, from your head to your toes with their hats, jackets, tops, pants and shoes. And all this available for men, women and a special collection for children. They pride themselves in producing some of the best-quality products out there, which are tried and tested and will last for many years. These products are reliable and durable, even in the harshest conditions. Another thing that definitely convinced us to include Haglöfs in this selection is that their clothes are suitable not only for different activities, but also suitable for everyone, regardless of whether you are an athlete, outdoor lover or casual adventurer. WeSC is a brand that was founded in Stockholm nearly 20 years ago. Their style is a bit different from the other outdoor brands featured in this selection. While they do design jackets for different types of weather, as well as other garments, their focus is more on style and fashion rather than just how well their jackets fit. We find this brand very interesting because of their versatile and numerous stylish products, which include different jackets, hoodies, trousers, jeans, different tops and even underwear. For those wanting to go the extra mile, pun intended, they also have numerous sneakers designs, which range from fashionable ones to very sportive and practical ones as well. A very interesting collection of theirs is the Gender-Neutral collection, which features different outfits and clothing pieces that can be worn by anyone. There are very few brands that do this, so it is quite refreshing, in our opinion. We are moving on to Stutterheim, a brand established in Stockholm in 2011 by Alexander Stutterheim. It all began as an art project inspired by his grandfather’s raincoat and now it is a top-selling brand, also popular among celebrities. Stutterheim designs raincoats, which are an essential jacket for those pesky months where raining is all that happens. Who doesn’t need a raincoat nowadays, seriously! Their motto is to make clothes look good even in bad weather, which is quite a feat but they have surely managed to do that. Some of their designs fit the “unisex” style, so they can be worn by everyone, regardless of gender. The main thing that sets these raincoats apart, style and design included, is the attention to detail and the fact that they are handmade, so not only are you getting a beautiful coat, but it is also very well-made and with a lot of effort put into it. 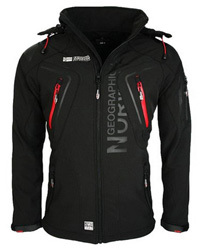 Houdini is a sportswear brand, founded in 1993 and since then they have designed some amazing outdoor clothes. Their design philosophy is quite interesting, as they aim for products that are not only high-performance, but also incredibly comfortable. So much so that you will barely notice wearing anything. Their designs are made to be lightweight and adaptable to movement, working with you and not against you. They are also an environmentally-friendly company, whether it be their manufacturing process or the sourcing of their raw materials. Sustainability is a part of everything they do. We picked this brand because it has an incredible range of products that start from accessories and underwear, to fleeces, pants, jackets and other tops. Their collections offer something to everyone, men, women and kids alike. Another brand that combines fashion with performance, Didriksons is a centenarian brand, established in 1913. At first Julius and Hanna Didrikson produced clothing for fishermen, constantly working on their designs, which brings us to today, where Didriksons offer a wide variety of designs and products. Their main focus are jackets and tops, but they also manufacture pants, rain boots and accessories. We will focus on their jackets especially which include activewear, sportswear and even raincoats, so there is a jacket for each season. And when summer comes around, when you won’t be needing a jacket anymore, their breezy and light T-shirts are a must-have, too. Their production philosophy is that everyone, despite the age and their lifestyle, deserves to have functional clothing that makes them feel comfortable and also suits their style. It’s because of that they have combined stylish and fashionable designs with products that perform effortlessly in different weather and environmental conditions. Lastly, it’s PINEWOOD, a brand established in the ’90s, which began quite small but grew consistently. Despite being a smaller brand than the previous ones, PINEWOOD most definitely keeps up quite well. Their products started with Canadian lined shirts and now they provide clothing and accessories for people that genuinely love and enjoy being outdoors. Some of their collections target specific types of activities, such as hunting or fishing, which require their own special garments and equipment. 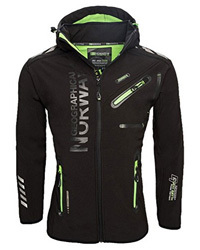 However, there are, of course, other outdoor clothing such as jackets, vests, fleece and trousers that are suitable for a variety of different outdoor activities. From head to toe, you can find anything you will need for any activity done in nature and most importantly, weather-versatile designs so you will be safe and comfortable despite the elements. Some of their accessories include hats, beanies, socks and bags. To top it off, there are also specific detergents and other patented products which serve as scent repellents, DWR treatments and abrasion-resistance. Limited is not a word that PINEWOOD accepts! That wraps up another Scandinavian collection. We will see you in our next piece!